Patrice Ayme's Thoughts | Morality Needs Intelligence As Will Needs Mind. Intelligence Is Humanism. Humanity is basking blissfully on the vast beach of possibilities now uncovered by the tide of progress. Comfort rules: the classic pitfall. It was famously observed, even at the imperial Roman court, in the Second Century, that everything was great, but a sentiment of doom and gloom nevertheless was present. And rightly so: the empire would start unravelling under Marcus Aurelius, a few years later. Now we don’t have that luxury: clearly, the biosphere as civilization always knew it, is coming to an end, in front of our very eyes. But still, most are in denial, and clinging to their creatures’ comfort… and the going is still good, better than it ever was. Those tourists enjoyed the low tide, but may have known enough to realize this was a tidal wave coming, but faster than they thought possible. So it is now for humanity at large. For the great wave to come, the great beach needs to be uncovered. Finally panic will come… too late for many. That wave, when it reached the shore (in the back of the cameraman), was 30 meters in places, hundreds were killed, in this spot alone. Agreed, that’s the worst possible case. So precisely we have to prepare for it, instead of waiting for all to burn… we have to confront how people think. That was not supposed to happen, because it didn’t happen before. But so it always is, with the greatest catastrophes. So how do people think? Well, first humans think as scientists. Humans are naturally born scientists. 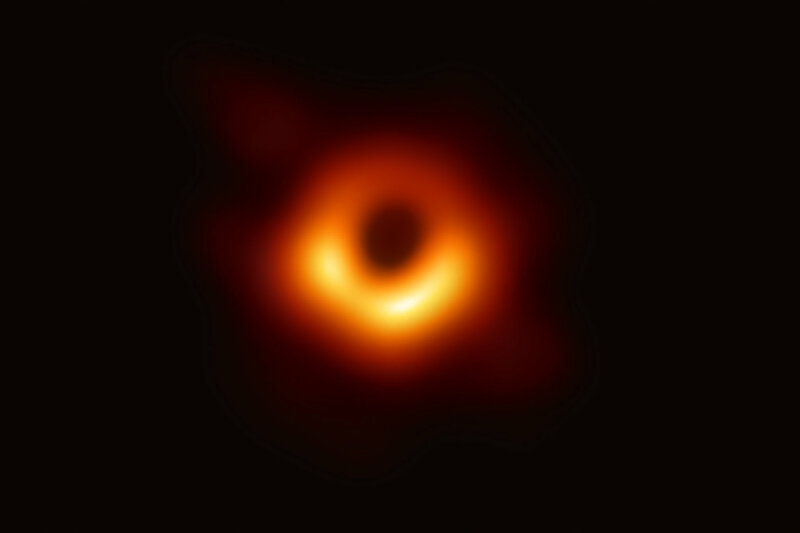 Thus, to understand how humans think, a detailed case is provided by the case of science, or, more exactly, diverse aspects of science, and how they evolved. The Structure of Scientific Revolutions, a book by Thomas Kuhn, asserted that the deepest science advanced by shattering the preceding systems of thought. By opposition to gradualism. Kuhn listed a number of reasons for this… But forgot the most important ones. And these same reasons preside over the thinking of most people (including our dreadful leaders-into-oblivion). Some famous academics, such as Steven Pinker and the Plutos financing him (Gates) believe we are living in an excellent world, better than any before. That’s entirely correct. But, since 2014, 17,000 illegal immigrants have been known to have drowned in the Mediterranean. This is very telling: it means the post colonial order is worse than the colonial order. Meanwhile some obsess with Trump wanting to complete the wall that the Democrats erected. A red herring, one more: illegal immigrants arrests are the highest in a decade. Per capita, Germany and Japan emits more than twice the CO2 of France. And the USA, nearly four times. The UK is closer to France than to Germany-Japan. Those who focus about the morality of completing “the Wall” should focus on CO2 instead. It’s the CO2 that will bring Armageddon. Therein the abyss, the countdown to ecological unsustainability. And yes, the collapse of the Roman state was preceded by a similar effect. 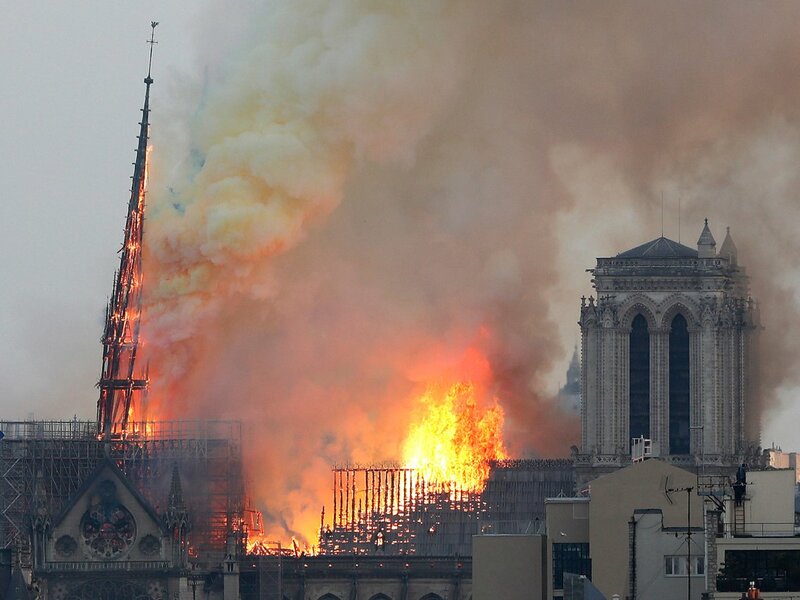 Not CO2, but exhaustion of natural resources… And mental resources (for the exhaustion of these metal resources, contemplate Notre Dame burning: French leaders now are not up to Middle Ages expertise!) On a much smaller scale, obviously, but still enough to kill the golden goose. Note: Lamarck and Cuvier were both research professors at Museum of Natural History, circa 1800. 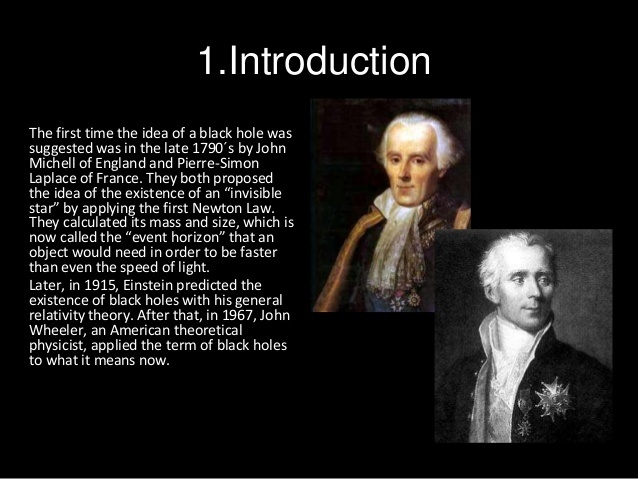 They both believed in biological evolution, and taught it. However, they were great enemies. Lamarck believed in gradualism: biological evolution was caused by a number of forces which acted day in, day out. Cuvier, instead believed in catastrophism… for example all dinosaurs go extinct in a catastrophe and mammals then appeared. They were both right. Completely incompetent leaders, and only them, decide what our world is. They take their little decisions in secret, among experts, unchallenged by the common sense of debate. They jet set around the planet and splurge. Notre Dame catches fire. Where are the helicopters dumping water? Can’t have them say the experts, cathedral too fragile: a fire hotter than lava is more of a problem. Obviously an idiotic opinion (whereas planes have killed with the tons of water they suddenly dump, helicopters can be as gentle as needed: the water comes from a pail, and the pail could have filled up 100 meters away in the Seine). The burning of Notre Dame tells us that the world’s “experts” are not what they claim to be. They are experts of routine, self-glorification, career building. Think about it: a roof with timber older than a millennium has burned. The “charpente” of Notre Dame was made of 1,300 oaks, each more than 1,000 years old. It was called “the forest”. Middle Ages engineers and firefighters took care of the cathedral, and its roof, for centuries, but their Twenty-First century alter-egos couldn’t. Notre-Dame resisted 856 years, the Middle Ages, eight religious wars, the French Revolution, the Cossacks, the Franco-Prussian war, the Commune, WWI and the Kaiser’s shells, Hitler, V2s. But not Twenty-First Century arrogant incompetence! A warning for all! Fire is out of control in the North Tower of Notre Dame (“Beffroy Nord”). Nobody told me this, I saw the flames on TV. The incompetence of “experts” is astronomical. The entire cathedral may well collapse. Sécurité Civile Fr‏ Hundreds of firemen of the Paris Fire Brigade are doing everything they can to bring the terrible #NotreDame fire under control. 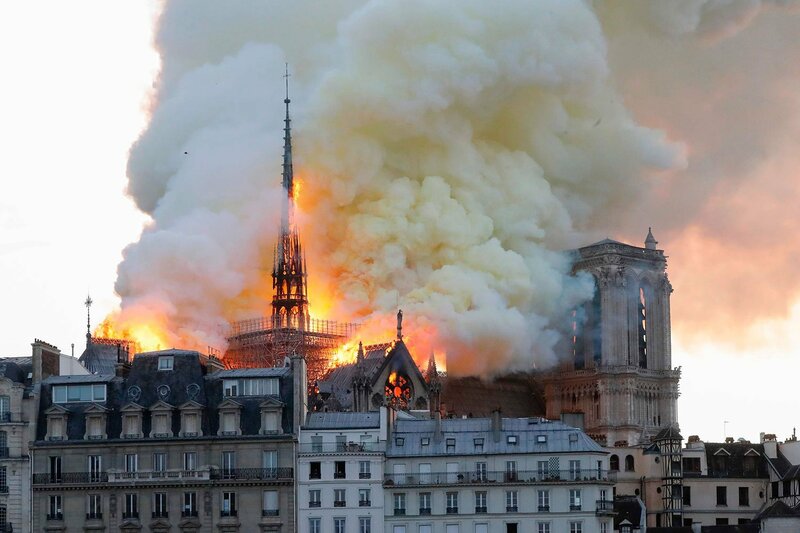 All means are being used, except for water-bombing aircrafts which, if used, could lead to the collapse of the entire structure of the cathedral. My personal answer: That’s hogwash, you are incompetent. Helicopter dropping water from the Seine would have made a huge difference, OBVIOUSLY. You were NOT ready for the worst possible case. There is a principle for all of humanity rising with these flames: one has to be ready for the worst. Of course, a sprinkler system would have stopped the fire right away. What do the French authorities say to this? We don’t do sprinklers in France, or something to this effect. What has happened since Notre Dame was built, 856 years ago? Not much of planetary significance for centuries, until around 1850 CE, when the CO2 built-up stopped the Little Ice Age. Now the entire biosphere is crumbling under various industrial assaults of humanity. We need expertise as never before. And what do we observe? Our “experts” are not up to Middle Ages standards. Remedy? Always the same idea: publicly, transparently, thoroughly, debate, with peculiar attention to idiosyncratic ideas. A public debate on fire security for Notre Dame (and similar buildings throughout the world) would have brought the question: why not a sprinkler system? Sprinkler systems can release prodigious quantities of water. NASA uses water suppression to cut down rocket engine sound from 285 decibels (which would destroy everything when reverberating) to half that (142 decibels). To do this the NASA sprinkler system releases 60 tons of water… per second. Another question would have been: why not helicopters? The question was already asked for the World Trade Center. Spaceship Earth is in the hand of “experts”, or those elected oligarchs we call politicians. The politicians are experts because they asked “experts”. Leibnitz, probably to please his Pluto sponsors, claimed we were in the best of all possible worlds. Well, the worst possible worlds always follow the best possible worlds. Dinosaurs won’t confirm this, but they would, if they could..
Those afflicted by Trump Derangement Syndrome hoped that Mueller would describe the object of their hatred as an agent of Putin. This didn’t happen: Trump was explicitly exonerated from being a Russian agent. Instead, Mueller fingered out a number of super lobbyists, working with, or more exactly for, both ironically called “Republicans” and “Democrats” (in contrast to what, “Monarchists”? )… the US super lobbyists also worked for all dictators you can possibly imagine… And their targets were not just the powerful “leaders” in Western states, but public opinion (it’s managing public opinion which caused and enabled the Kaiser attack of 1914, and that was explicitly planned, in writing, as early as 1912; since then we enjoyed more of the same, the molding of public opinion to produce Maoism, Nazism, McCarthyism, Brexit, etc.). My reaction: I claim that ONLY OPEN SOURCE LOBBYING Should Be LAWFUL. Draining the swamp, one lobbyist at a time. 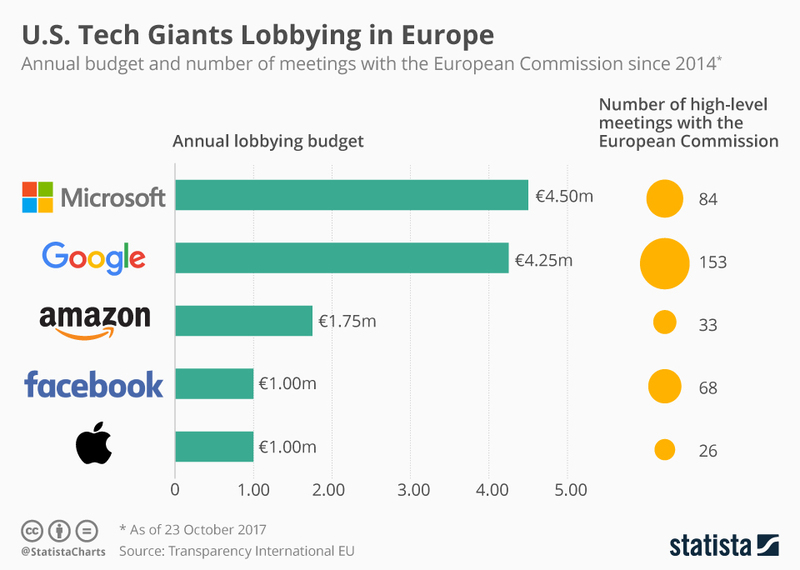 Just to understand how hard it is going to be, going that route: there are 40,000 officially registered lobbyists at the European Parliament. The only lawful lobbying should be Open Source lobbying, where the lobbying effort would be posted on the Internet, and made completely transparent. Moreover, a government agency (related to the Justice Department) should review the lobbying and explain its plausibility, veracity, impact, etc… Similarly to what is already done in California when propositions come to referendums (the voters’ official pamphlet comes with pros and cons, and a California government official analysis, for each single proposition… that, feeds, in turn, healthy debates in the public, and moves the voting intentions). Democracy, People Power, can’t happen when only a few men have all the power. In this case, these few men empowered a quasi-dictator in Ukraine determined to crush, even kill, the ex-PM, a woman. This is not just a question of money, not just a question the law, or politics, but of basic human rights. Notes: 1) The question of Referendum Initiated by Citizens (RIC) is related, as I said in the comment above. In Switzerland, referendums can be contested judicially (and have been: 5 out of 10 last year, 2018!) The US State of Oregon is introducing a system according to which a state commission made of citizens selected by lot would overview the argumentation submitted to referendum. The same could be done for lobbying. Such a system of overviewing by lot was already used in democracies of Ancient Greece. 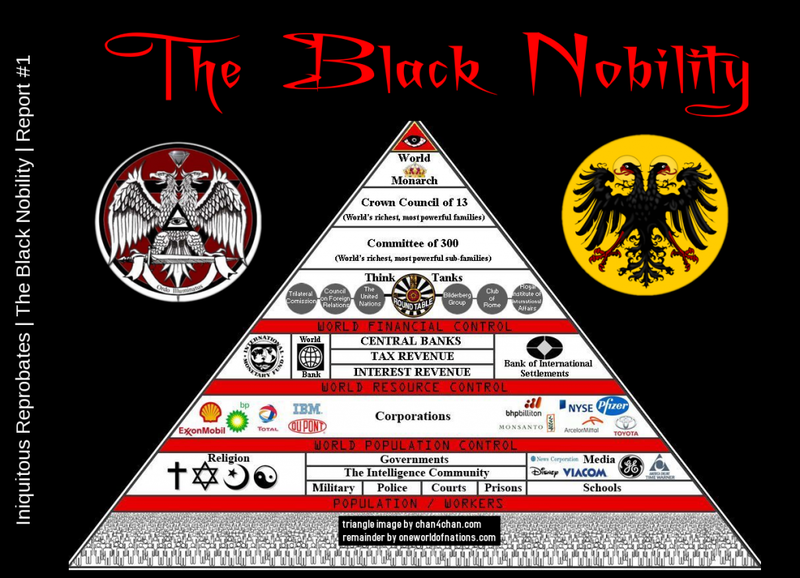 2) Many European “leaders” have been in the employ of top plutocratic corporations. Here is a particular case of lobbying. 3) The corrupting nature of lobbying is beyond understanding. Schroeder, once Chancellor of Germany, became the head of the Russian-German gas project, which insures the good fortune of Putin, Schroder, and the CO2 catastrophe. Ultimately pipes were built-in the Baltic Sea sea floor to bring Siberian gas to Germany. Schroeder made millions… More are built. Merkel claimed she saved the world from big bad nuclear, while enriching the Russian petrostate dictatorship. No doubt she will be rewarded when she resigned the Chancellorship… Just as her corrupt predecessor. 4) Context from NYT: “In an indictment that seized the attention of the capital’s K Street lobbying corridor, Gregory B. Craig, a White House counsel in the Obama administration, was charged on Thursday with lying to the Justice Department and concealing information about work he did in 2012 for the government of Ukraine. When a concept is born, the concept should have a name, that’s how neurobiology works. The concept becomes a philosophical person, so to speak. I am proud to have originated “Trump Derangement Syndrome“, let’s hope “Open Source Lobbying” will be similarly graced… I have talked in the past of the “Absolute Wealth Limit”… A concept actually invented and practiced in the Roman Republic. However, the Roman didn’t give it a name as such. Notice that the “Absolute Wealth Limit” was a particular case of another Roman Republican practice which deserves a name, the “Absolute Power Limit“. According to which persons (even Consuls in the case of Rome, or presidents in contemporary states) shouldn’t have more than a given power limit. Open Source Lobbying is a particular case. I am a mortal enemy of Brexit. I think the European Union as it is organized, is a disaster, but it’s less of a disaster than no Union at all. Of course, Britain should be part of the Union. However all too many British are Pluto pawns driven to madness by the deep emotional misinformation in which they bathe. Indeed, there are lots of the problems of the present European Union, including pig-headed expansion, were caused by British bullying. 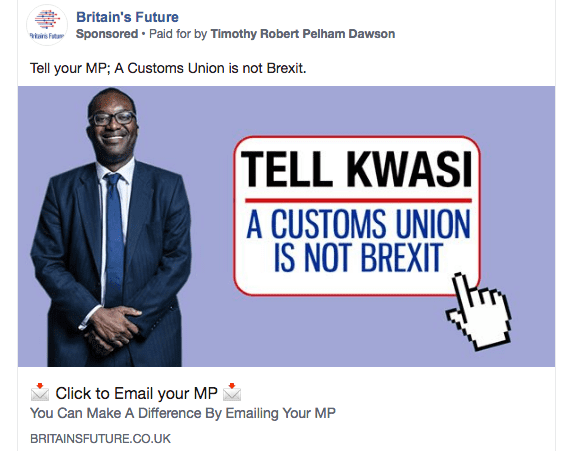 The EU immigration so decried by the Brexiteers was therefore a British Pluto trick… second only to non-EU immigration to Britain… thus demonstrating in an even deeper way that massive immigration to Britain was organized by the same manipulators who are behind Brexit. I have argued that ejecting Britain out of the EU could have unforeseen consequences, that alienation is a very bad thing, etc. 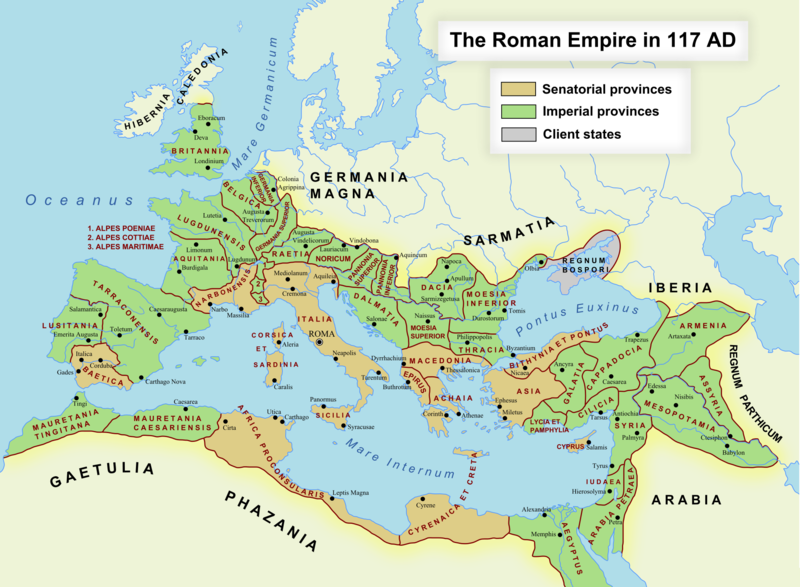 The classical case of this, I insisted, was the estrangement of Western Francia from the rest of the Roman empire in the Tenth Century (that Roman empire is often erroneously labeled by unfaithful historian “Carolingian” empire). That brought one millennium of war (all the way to Hitler). Now the Western Franks had a very good reason to split: the Roman empire had not defended them against the Vikings by eradicating the latter. Instead Western Franks had to defend themselves by their own means. So Frexit had an excellent reason. 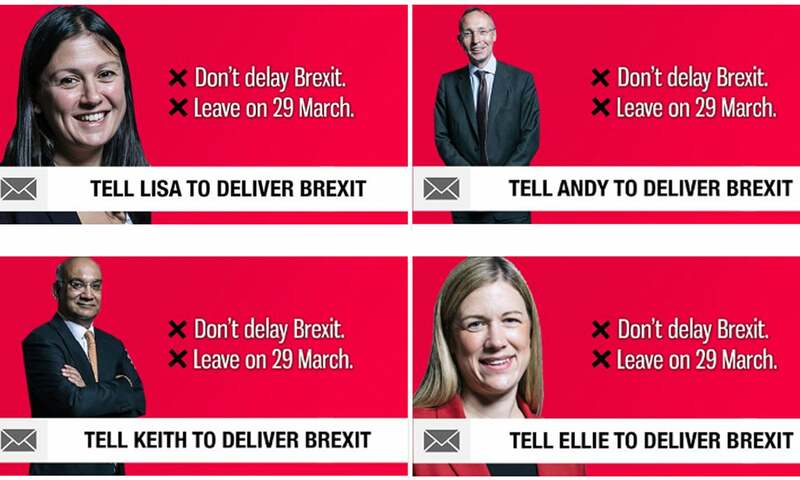 The case of Brexit is completely different from the Frexit of the Tenth Century: half of the British electorate has been rendered stupid, delusional and angry from plutocratic propaganda, and enormous lies. They have to snap out of it, they need psychiatric treatment. However, the EU is in a maelstrom. The planet is dying, etc. Can we afford a few more years taking care of delusional Brits, at the exclusion of the needed further federalization of the European Union? Well, the head of (misleading called) European Research Group Jacob Rees-Mogg, changed my mind. I listened to him for a long time. The gentleman looks very calm and collected, full of certainty for his delirious absurdities, the sort of certainty many promoters of Nazism exhibited, with somewhat similar absurdities. Brexiters are determined to keep on sabotaging Europe, so that Europe can become a better poodle for global plutocracy and USA. Should wisdom then activate Waterloo’s revenge, and kick them out all together, or just keep them out of European Parliament? Verified account @Jacob_Rees_Mogg: “If a long extension leaves us stuck in the EU we should be as difficult as possible. We could veto any increase in the budget, obstruct the putative EU army and block Mr Macron’s integrationist schemes.” Prominent Brexiteer MP Mark Francois, said that if the U.K. remained in the “bloc“, “then in return we will become a Trojan Horse within the EU.” In return, or will return to? Honesty requires to admitting the second formulation. What to do? Throwing the UK out may be reasonable, at first sight, considering such a mindset from prominent UK politicos. E U solidarity with the Republic of Ireland has been total. The EC chief negotiator, Michel Barnier confirmed that, in the event of a no-deal Brexit, the EU would make solving the Irish Border issue a prerequisite for any re-starting of trade talks with the UK. That’s the so-called “backstop”: the EU will enforce it. As things stand, the UK is due to leave the EU on Friday, April 12th, midnight, Franco-German time. 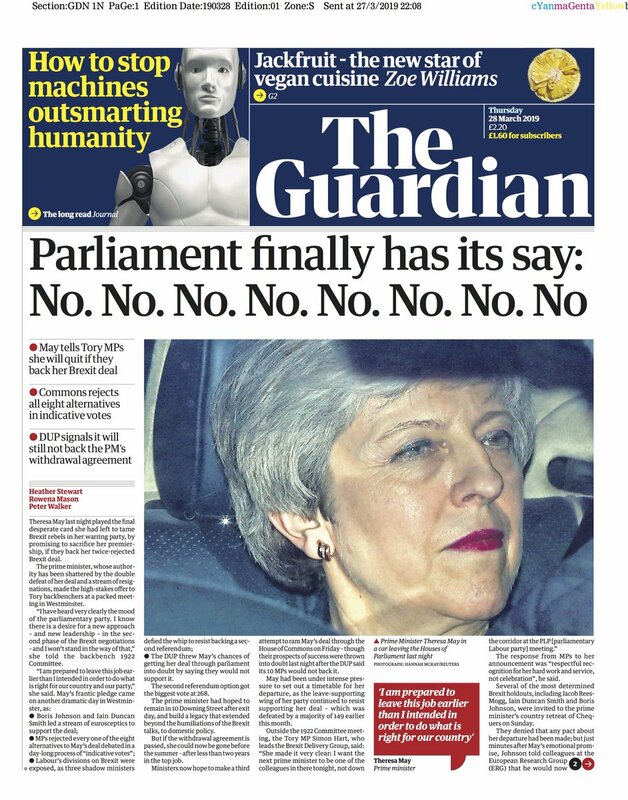 As decided by the last EU summit. The rhetoric is escalating, as the EU is threatening to use some sort of force. Tough? Yes. But we can’t Brexinfinity forever… So what should Macron do? 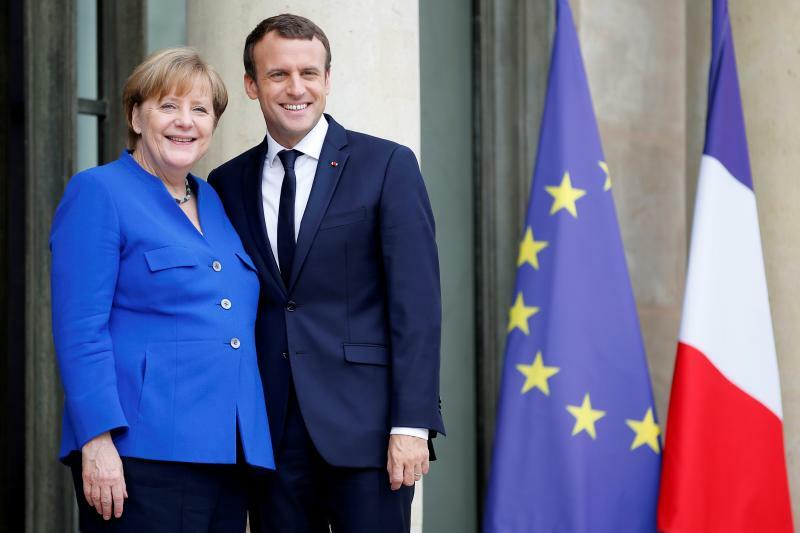 Without Britain to sabotage in the name of global plutocracy, France has only to deal with Germany. And much can, and should be done. Meanwhile, a number of EU states want the British government signed up to conditions that would bring “sincere cooperation” from the UK during its extended membership, including restraining from involvement in budget discussions or agreeing to go without a European commissioner (each full member gets one). If independence from British meddling, while the UK keeps on saying it wants out, but is still in, can’t be insured, Britain should be kicked out. Meanwhile, indeed, the most imperial Trump is acting up. As I exposed, Boeing’s 737 MAX is misshapen and shouldn’t be allowed to fly (if they correct the software which makes the plane plunge towards the ground, it will tend to stall…). That’s an immense disaster: more than 5,000 of the type were ordered, worth up to $130 million each. So what does Trump do to come to the rescue? Accuse and punish Airbus with 11 billion dollars of sanctions on things like… cheese. That’s imperial logics at its best. Already French cheese sold in the US is mangled by the authorities in such a way, that’s it turns disgusting pretty quickly. But that’s not enough, Boeing designed a plane in the 1960s, tries to sell it in 2020s, doesn’t work, it’s the fault of Airbus! The law now goes to the French Senate (which is controlled by the opposition). I have advocated to pass such a law for a decade. Tax according to revenues, not profits. The French GAFA law taxes 3% of revenues in companies with worldwide revenues above 750 million Euros. The rest of Europe, apparently paralyzed by terror, watches the French with the fascination of prey species seeing forces they can’t comprehend counterattack American predators. US pawns and minnows, Sweden, Finland, Ireland and Denmark blocked a draft EU-wide GAFA tax proposal over the weekend. In the last World War, when Hitler killed himself as the coward he had become, Ireland sent condolences to his successor, war criminal Doenitz. Ireland had refused to help the Allies in WWII, to the point that it preferred being at Hitler’s (implicit) side rather than accept Churchill offer of Irish reunification! So now Ireland is Apple’s tax evasion agent, worldwide. Always going for the strongest, baddest empire around. See the note on Bir Hakeim at the end of: New Thinking Always A Combat. Confronted to the French GAFA tax, the American imperialists howled to high heavens, but skeptics pointed out that the French GAFA tax is probably not even a third of what should be the fair amount. US Secretary of State Mike Pompeo warned last week that the tax would hurt both the American firms and the French citizens who use the platforms. Fortunately, the French are sadomasochists, so it should be alright. The USA is an empire, China is an empire, Russia is an empire, Brazil is an empire, Indonesia, Japan, are clearly empire, India is an empire… And Pakistan (population 200 million) put a fatwa on yours truly. What is Europe in all of this? Throwing Britain out, as amply deserved, would make Europe into an empire, something that gives out orders (imperium, even lethal ones). But, at this point, it would not be the smartest thing. Better to let England fully experience the folly of taking one’s orders, hearts, facts and souls from global plutocratic media. Combining evidence from various sources, it’s obvious that fossil fuels kill directly more than ten million people, a year. So why the negative obsession with nuclear? Have We The Sheeple been programmed to love the tar, breathe it all day long? 90% of humanity’s worldwide energy comes from burning fossils (even more than 90% of energy comes from burning, once one integrates the burning of forests). We burn, therefore we are. Only one emergency solution to decrease dependency on burning fuels: nuclear energy. Yet, all too many of the haggard populations, soon to be devoured by the climate catastrophe, hate nuclear energy, that is, they hate the Sun, our nuclear Sun, and they hate the Earth, our nuclear Earth, and don’t even know it. Says IEA: “Coal-fired power plants were the single largest contributor to the growth in emissions observed in 2018, with an increase of 2.9%, or 280 Mt, compared with 2017 levels, exceeding 10 Gt for the first time.” I guess pseudo-ecologists like Angela Merkel loves that. Merkel closes nuclear, because she is an ecologist, she says, while opening full up on the world’s dirtiest coal, lignite… First used by Neanderthals 80,000 years. Coal, the most CO2 emissions productive fossil fuel, now provides more than 42% of Germany’s power according to the International Energy Agency – a proportion that has been growing since the nuclear decision. The result is that Germany’s carbon emissions have been growing, since Germany’s horrendously selfish decision… while the neighbors’ CO2 emissions have been declining. France, in particular CO2 pollutes less than half of Germany per capita… due to nuclear. Notice France is just at world average… The less polluting wealthy country in the world. 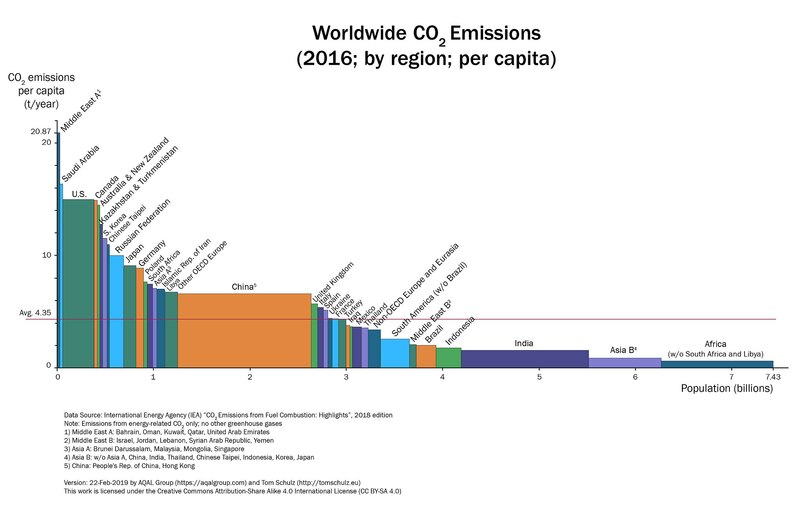 Clearly, except for massive nuclear right away, the world’s total CO2 emissions will climb spectacularly as two-thirds of humanity catch up in energy utilization. Renewable energy won’t change make enough energy to do without getting 90% of our energy without burning fossil fuels. Massive nuclear and hydrogen are needed, right away. Who disagrees with this is morally indifferent, ignorant, misinformed, cruel, & will help kill 6 billions. I could go on like that: fossil fuel burning kills at least ten million a year, probably more than a million a year in Europe (looking at the latest numbers). How many did nuclear energy kill? In Fukushima, the unimaginable happened: four nuclear reactors, terribly located, without back-ups, or sea wall, crushed by giant waves. And, yes, there was no back up for the cooling systems. Back-ups were in Florida. Three reactors blew up and melted down. Result? 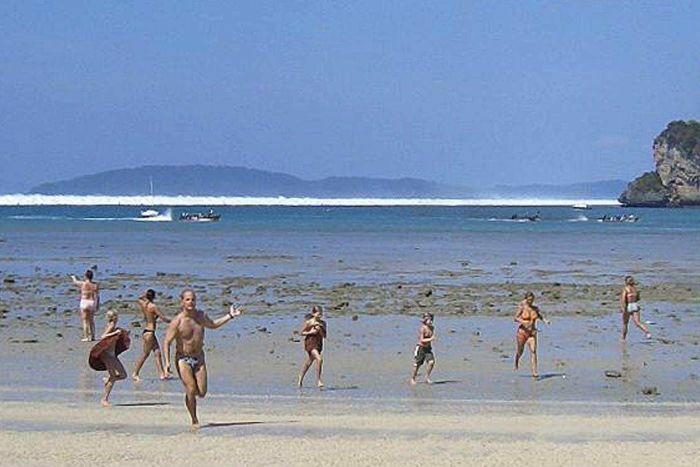 Nobody died, and the beach is reopened for babies, 15 years later. Young people rightly bleat in unison to mitigate the man-made climate catastrophe. However the young sheep should be advised that the question is not what to do — eliminate fossil fuels ASAP, and by 2050 at the latest— but how. It’s impossible to achieve this by ill-informed, however well-meaning, bleating. Right now 90% of the world primary energy production is by burning fossil fuels. Repeat slowly, and try to understand what it means: we need a humongous source of energy, right away, to replace that. Renewable energy will not change the 90% of fossil fuel burning except in a few special places such as California (a rare place with water, mountains, wind and sun). Norway and New Zealand, full of water and mountain, get their electricity for dams. Yemen is also full of mountains, and had the first dam. However Yemen’s electricity will not come from dams. Yemen’s electricity will not come from Solar Photovoltaic, either, except for a few hours a day, because batteries hold at most 4 hours and are immensely expensive. “Where will this gargantuan amount of carbon-free energy come from? The popular answer is renewables alone, but this is a fantasy. Wind and solar power are becoming cheaper, but they are not available around the clock, rain or shine, and batteries that could power entire cities for days or weeks show no sign of materializing any time soon. Today, renewables work only with fossil-fuel backup. There is only one way to store renewable energy which is affordable, and expendable on a huge scale : the hydrogen economy. That hydrogen economy has not been developed massively, yet. Although it’s feasible. It could be used in planes… This is the only way, in the foreseeable future, to get 100% CLEAN planes. The hydrogen economy is so feasible, that the first thing Obama did, on the first day, arriving in the White House, was to destroy it, so that his friends in the fossil industry could prosper. And prosper they did… And reward him and his family, thereafter. Hey, Obama is a family man. So fracking and bituminous sands prospered , and the ill-informed populace bleated its approval, as Obama made plenty of seductive ecological noises, while hyenas laughed in the night. So what energy source are we left with, if we want to decarbonize? Nuclear energy. Fission now, which could be rendered rather innocuous, if Thorium reactors were developed. Fusion soon, which could bring reactors connected to the grid in ten years, if massive spending was engaged. Fusion brings neglectable pollution, and not at all if using Helium 3. The pseudo ecologists who refuse nuclear energy refuse the earth and the sky. In the core of the planet, a fission reactor generate plate tectonic and the magnetic shield which made life possible (by controlling CO2 and radiation). In the sky, that thermonuclear reactor known as the sun. A further complicating factor is that massive ecological disruption always bring war. Pseudo ecologists refusing nuclear energy condemn the biosphere to the Sixth Mass Extinction. They are the objective accomplices of fossil fuel fanatics. Just their propaganda angle is different. Instead of just being greedy to no end like the fossil fuel fanatics, anti-nuclear “ecologists” are, on top of that, completely irrational. Anti-nuclear pseudo-ecologists do to reason what Jihadists do to faith in God. …”we actually have proven models for rapid decarbonization with economic and energy growth: France and Sweden. They decarbonized their grids decades ago and now emit less than a tenth of the world average of carbon dioxide per kilowatt-hour. They remain among the world’s most pleasant places to live and enjoy much cheaper electricity than Germany to boot. “France has two types of reactors and hundreds of types of cheese, in the United States it’s the other way around. In recent decades, the United States and some European countries have created ever more complicated reactors, with ever more safety features in response to public fears. New, one-of-a-kind designs, shifting regulations, supply-chain and construction snafus and a lost generation of experts (during the decades when new construction stopped) have driven costs to absurd heights. “All this, however, depends on overcoming an irrational dread among the public and many activists. The reality is that nuclear power is the safest form of energy humanity has ever used. Mining accidents, hydroelectric dam failures, natural gas explosions and oil train crashes all kill people, sometimes in large numbers, and smoke from coal-burning kills them in enormous numbers, more than half a million per year. “Despite its demonstrable safety, nuclear power presses several psychological buttons. First, people estimate risk according to how readily anecdotes like well-publicized nuclear accidents pop into mind. Second, the thought of radiation activates the mind-set of disgust, in which any trace of contaminant fouls whatever it contacts, despite the reality that we all live in a soup of natural radiation. Third, people feel better about eliminating a single tiny risk entirely than minimizing risk from all hazards combined. For all these reasons, nuclear power is dreaded while fossil fuels are tolerated, just as flying is scary even though driving is more dangerous. “Protecting the environment and lifting the developing world out of poverty are progressive causes. And the millennials and Gen Z’s might rethink the sacred values their boomer parents have left unexamined since the Doobie Brothers sang at the 1979 No Nukes concert. This time, though, collapse will be faster, fiercer… and nuclear bombs will be used. Thus it would be wiser to use nuclear energy in a civil manner…. The gist of my comment was that the trio of Socrates, Plato and Aristotle are pro-plutocratic philosophers, and that’s why their thoughts were so well preserved. This is intolerable to… plutocrats. And guess who is financing “Aeon”? Same as all over the world media: plutocrats! For Aeon’s abuse, see the note. Here is my censored comment, with a picture added. that Socrates is the greatest philosopher is a widely held opinion that is indeed deeply flawed, considering the gigantic heritage of thought and thus philosophy, which preceded the Athenian Age of Pericles. 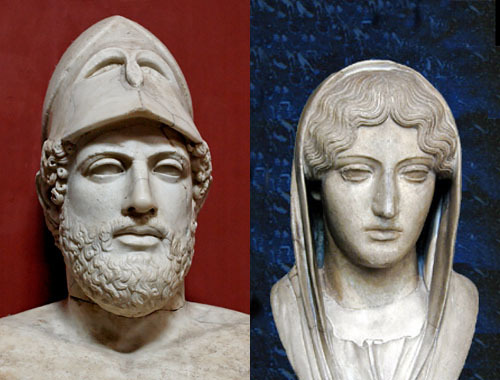 General on the left, great philosopher, his spouse, on the right. Aspasia (right) invented the so-called “Socrates” method (“inductio”) and the Open Society, and all great things Pericles said. All the bad policies of Pericles were his own, he admitted, begging forgiveness. Actually, let’s hammer it again, Pericles’ second wife, Aspasia of Miletus, was arguably a better thinker than Socrates: she invented the concept of the Open Society, which K. Popper parroted recently; the Open Society is more important a notion than anything Socrates allegedly did. Consider the many pharaohs who were women, and discoveries such as “Pythagoras” theorem, one of many discoveries which the Greeks themselves said came from Egypt (with steam power). Truth was revered in Ancient Egypt, and the ideal feminine, when not actual women, propelled it. Suspicion wants to ask why, among all great thinkers of Greece only the trio of Socrates Plato and Aristotle was viewed as worth preserving so extensively? Was it because their thinking was so compatible with, and useful to, the 2,000 years of dictatorship and plutocracy which followed them? And which Aristotle personally contributed so much to install? Indeed! It’s no coincidence that Roman Catholicism was made compatible with the “Neo-Platonism” which dominated the empire (and not reciprocally). Contemplate the many colossal thinkers of Classical Greece, such as the inventors of NON Euclidean geometry (Yes, non-Euclidean), and the engineers of mechanical computers, algebra, and of the all important atomic theory, complete with vacuum and perpetual (“Brownian”) motion. Presocratic philosopher Democritus, his teacher Leucippus, and Epicurus, over two centuries, wrote more than 100 books, mostly on the atomic theory, science, and a rational approach to the entire universe. Why were all their work deliberately destroyed? Because Roman Catholic fascism was not compatible with rational explanations. Whereas, of course, Socrates, with his voices in his head, Joan of Arc style, Plato, in love with tyrants of Syracuse, and Aristotle being all things to the Macedonian gangsters, were compatible with Catholicism, to the point they promoted many of its themes, five centuries before Roman emperors adopted them, that is, adopted the intellectual fascism Socrates, Plato and Aristotle were oozing with. Athenian democracy knew so much about its incompatibility with Socrates and Aristotle, it wanted to execute both (Aristotle fled). Socrates, Plato and Aristotle were deeply entangled, in the most intimate ways, with some of the most famous and bloodiest dictators in history. It is telling that most philosophers have not noticed that horrendous, yet very loquacious, fact. So no wonder the dictators, tyrants and so-called monarchs of the next two millennia esteemed that philosophical trio from thinking hell, so much. But should we? Socrates hated real democracy, and Aristotle was, literally, the father of “Hellenistic” dictatorships which buried free thinking and inspired Roman plutocracy to take over the Republic, and then the world. Socrates had means, a stock inheritance from his father, which he admitted to have dilapidated, and a busy wife. In any case, he could afford the expensive equipment of a upper class hoplite, and he kept the most intimate company with Athens’ topmost golden youth. That made him tight with the dictators who ruled Athens, when they did. That Socrates was married early in his life with an aristocrat called Myrto explains readily why he was hanging around the uppermost echelon of Athenian society, insisted to attack democracy, and why the democratic authorities viewed him with such hostility. That Plato hid that from view is explained by Plato’s general adoration of dictators, and those who love them. Diotima of Mantinea is presented in Plato’s Symposium as a philosopher of love, teacher of a youthful Socrates, who defer to her expertise, and she is the inventor of the concept of Platonic love. Thus one can see that some of the most prominent durable notions of the infernal Socrates-Plato-Aristotle trio were actually elaborated by women… So why all the reverence to the guys? Is that another case of delirious sexism? Some British philosopher claimed that Western philosophy, the way he knew it, was just “footnotes to Plato”. Indeed: sitting in the middle of his glorious British empire, he only knew Western fascist philosophy of the plutocratic type. To get out of this inequality trance, one needs to realize the truth: Socrates, Plato and Aristotle were just theoreticians and advocates of the exploitation of We The People by the principle of oligarchy. Socrates hated democracy, Plato lauded tyrants, and Aristotle put in place Antipater, the bloody tyrant, executor of Aristotle’s will, who made Athens, after defeating her twice in naval battles, into an official plutocracy. No philosophical education should be complete without realizing that this infernal trio are fathers to plutocratic philosophy. And, in particular, Roman Catholicism. Conclusion (not part of my comment, which was above): Is Aeon is a magazine promoting philosophical fascism? You judge! The sort of censorship I was subjected to reminds me of The Inquisition. Actually, it is exactly this sort of censorship which brought plutocratic rule, when the non-Roman Catholic literature was systematically destroyed by the “Men In Black” (monks). This sort of censorship prevents people to realize that Socratic, Platonic, and Aristotelian philosophies have been the backbone of plutocracy, for 24 centuries… and that so-called Christianism (and thus then its child, Islamism). This is another indication that sexism and plutocracy are deeply entangled. I am honored to be censored for this insight. But this is a warning: the techno fascist who rule the world now are, in some ways worse than the Inquisition. Facebook censors for obscenity works of art ordered by popes during the Middle Ages. We have sunk low, and are sinking lower. Note: Plato or Pluto? Is there a difference? My comment was using not one word of foul language, or slang, and couldn’t be considered abusive to anyone alive since the dictator Antipater became the executor of the will of Aristotle. My comment was polite, and highly informed at a much higher level than the author of the article (who I didn’t criticize, neither directly, nor implicitly; I actually went further in his general direction, bringing new elements). Your comment to the article ‘Was the real Socrates more worldly and amorous than we knew?’ has been deleted because it contravened our community guidelines. Users who repeatedly violate our community guidelines will have their membership deleted. Unfortunately we cannot give individual feedback on moderation. Please consult our community guidelines. in the New York Times, April 1, 2019, and not a joke, Joanna Hausmann, a Venezuelan-American writer and comedian observes a few basic truths:. The European Union, allied to most Latin America, also wants to get rid of the Venezuelan dictator Maduro. It’s not just Trump. The EU has long understood that the safest bulwark against war is democracy. Right now more than 10% of Venezuela’s population has fled. The “left’ has long been adorned with clowns who pretend to defend We the People by pushing tyranny (as a way for We the People to impose itself). The notion dates back to Aristotle who thought monarchy was the best political system. Marx, furious that his wealthy family’s Rhine vineyards had been made less valuable by price competition with more productive vineyards from southern Germany, elaborated a theory that dictatorship was best, as long as it was made by individuals like him. After an alliance with the Kaiser, Lenin, a century later, did just that, ruining Russia and Ukraine in the process, and killing dozens of millions in the Gulag (according to Stalin himself). 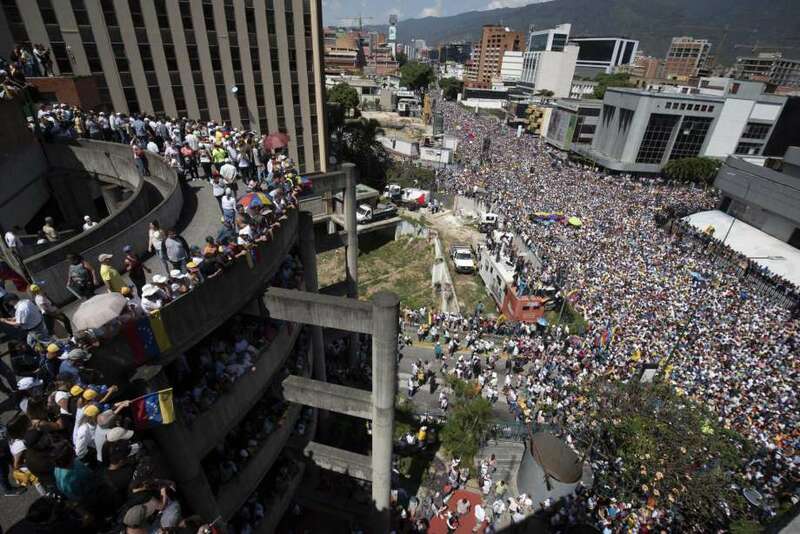 Enormous Anti-Maduro Crowd, one of many…. Many self-declared intellectuals in Europe, when they didn’t follow Hitler, embraced Adolf’s ally, Stalin (until June 23, 1941). Later Mao, Castro and their ilk enabled said pseudo-intellectuals to express their resentment to the full. This sort of “leftism” only help the wealthiest capitalists. As I said, that’s why it keeps on being promoted by the likes of the Kaiser. Progress doesn’t come that way, but by compromising with capitalism, and indicating better ways. French MP Proudhon and Lasalle did just this, and Marx hated them (while stealing their ideas). In long conversations, Lasalle persuaded Bismarck to institute universal health care in Germany. I invented, and named, the notion of TDS, Trump Derangement Syndrome (even Trump uses it). It is part of Moral Displacement Syndrome (a vast generalization of Scapegoat Theory, Girard, a French Stanford professor became famous from), itself a particular case of Cognitive Displacement Syndrome. In other words people think and feel what’s more convenient to them. Once one has determined Trump invented evil, one is led to believe the Venezuelan electric grid fails because of Trump… And thus one can proceed in one’s own bad ways, without any culpability. Maduro is clearly a dictator. Allende, not a dictator, was thrown out by US maneuvers and various interventions, including military. Actually, since 1900 CE, the USA intervened many times to serve itself in Central and South America. But present day Venezuela is not one of them. Instead of saying stupid stuff about Venezuela, US progressives should ask the European Union to take the lead: the EU succeeded to resolve many conflicts, through patient diplomacy (as I just suggested it should use with Great Britain, by the way). Trump has enough on his plate with North Korea and Pakistan (both nuclear states), it should let the EU lead. Real progress is always founded on truth. And posing, or fake progress, doesn’t foster truth. Note: As I have explained in the past, if this backing of tyranny by the (pseudo) left advantages the ruling oligarchy, why do they do it? Precisely because it’s their job, in the oligarchic order! Double agents are not a new notion. All the more as, in this case, being deeply delusional, they are sincere… So they don’t even know they serve the oligarchy. Not anymore than busy bees know they are serving the apiculturist….